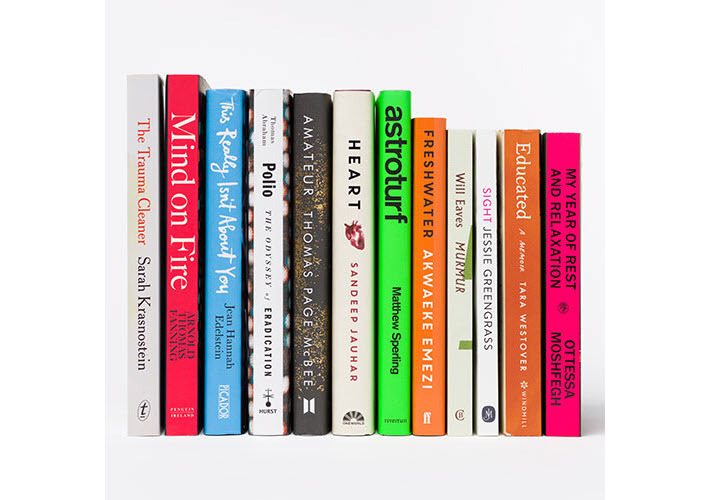 Almost evenly divided between fiction and nonfiction—and with half its selections published by independent houses—the 2019 Wellcome Book Prize longlist features issues of gender, identity, mental health. The five novels and seven nonfiction books being announced today (February 5) to the 2019 Wellcome Book Prize longlist include six debut works. The twelve titles on the longlist comprise work by authors from the UK, the USA, India, Australia, Nigeria, and Ireland. Half of the selections are published by independent houses: Canongate, CB Editions, Faber & Faber, Oneworld, Hurst Publishers, and Text Publishing. A shortlist is expected on March 19 with a winner announcement on the evening of May 1 at the Wellcome Collection in Euston Road, London. The prize carries a purse of £30,000 (US$39,027), and the program is stressing the longlist’s themes this year of gender, identity, mental health, and modern medicine. This year’s jury has been chaired by author Elif Shafak, with Kevin Fong, Viv Groskop, Jon Day, and Rick Edwards. In a prepared statement about the longlist, Shafak is quoted, saying, “In a world that remains sadly divided into echo chambers and mental ghettos, this prize is unique in its ability to connect various disciplines: medicine, health, literature, art, and science. Three of the five works of fiction are debuts—Greengrass’ Sight, which was shortlisted for the Women’s Prize for Fiction; Emezi’s Freshwater; and Sperling’s Astroturf. The three nonfiction debut works are Fanning’s Mind on Fire; Westover’s Educated; and Sarah Krasnostein’s The Trauma Cleaner.